Chess is a game that involves lots of mental ability. Thinking process plays a huge role in deciding the success of the players. Know how to organizing the thought process helps the player to make the right move in the given time. There are many books and materials available on how to master the art of structuring the thought process. What happens if you do not structure the though process? 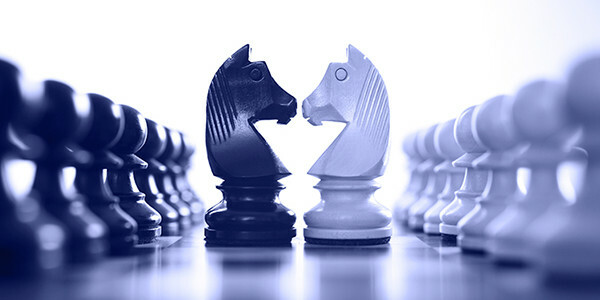 You will not be able to figure the possible threats from your opponent’s recent move and you will not be able to finalize your move within the specified time. Making the right decision is very important in the game of chess. You have to select the right moves based on your opponent’s move. You have to keep on thinking to attack the opponent’s piece, while also safeguarding your pieces. You have to find when to sacrifice the pawn to gain a better position. There are different kinds of thoughts, you need to focus when playing the game. Tactical thinking, psychological thinking, emotional balance are some of the factors that come to play during the game. Structuring the thought process helps you easily handle all these things. Psychological thinking is a crucial aspect of the mind games like chess. Psychological disturbance can make you lose the focus on the game. Psychological factors come to play at various instances. For example, if you have missed a great opportunity, then you feel bad about yourself for a long time, thus making drift you away from the game. There can be a psychological mental block when you are playing with a strong opponent. You should stay mentally fit at any point of the game. You should keep in mind that even a strong opponent will make mistakes. If you are psychologically affected, then you will not be able to realize the opponent’s move and tactics. You should not be worried if the opponent takes a long time to make a move. This could be even a tactic by the opponent to distract your mind. Always keep your focus on the game, irrespective of the body language of the opponent. A good chess player will always have a good patience to think and make the right move. You should never try to win the game quickly. You should never rush to make your moves quickly. You should think twice and thrice before making the move. You should not be elated or feel so much excited if you look like winning. Even such kind of emotion could make you do mistakes. You should stay calm throughout the game. There are many advantages and benefits of structuring your thought process. The first advantage is that you will be able to manage the time. If you thought is not structured then you will be in a lot of confusions to take the right decision. With proper thought process, your mind is least affected by emotions and you will stay more focus on the game. You will be able to find out the threats from the opponent’s new move and think how to tackle it efficiently. Decision making skill is very much required to excel in this hectic and competitive life. Playing chess can really help to improve decision-making skills, and this is why I encourage my kids to play this game. In my opinion, employers should also encourage their employees to play this game. It is good to know how playing chess helps to overcome psychological disturbance in daily life easily. Considering the tough lifestyle, I think every individual should spend time playing chess to exercise their brain and mental health. This article is excellent. We are living in such a competitive life that it is essential for everyone to understand the motives and ideas of our competitors. By playing chess, you learn to understand the moves of your opponent. This will also help you in real life as well. Today’s men and women need more patience to succeed in life. As said in this article, chess game can really develop of the ability to be more patience in various real-life circumstances. I have experienced this in myself after playing chess for some months. Highly enlightening article! I do not know why majority media is not popularizing this game to the masses. I think media should give more importance to cover the international chess games to make this game more popular like games like soccer and hockey. If you are thinking to give a good type of exercise to your mind, you should start to play chess. Problem solving games help your mind to remain active and sharp. Chess is a game that has the capacity to view things from numerous perspectives. Chess is almost like a puzzle game. I love to play chess and started to play during my school days. It has earned me a lot of respect and appreciation. It is a highly competitive game. I would definitely recommend chess for school students. Chess is a mind game that helps you to exercise infinite potentials of mind. It helps in developing mental abilities that is useful throughout life. It develops evaluation, synthesis, analysis, creativity, strategic planning, pattern recognition, problem solving, abstract reasoning, and critical thinking abilities. When you play chess, you can feel certain internal changes. It is a game that matters your nerves, psychology and mind. The game can last about six hours. You need to have sufficient stamina to remain focussed and play after two hours. I enjoyed reading the blog. I was surprising for me to hear that chess enhances mental and physical ability. I always think chess as another ordinary game. I did not even know that it has so much of benefits and features.